CipherLab 9700 Barcode Software Kits featuring TracerPlus Software are an affordable solution for the challenging requirements of the warehousing, distribution centers and manufacturing industries. Even with a lower price point than competitors, CiperLab’s 9700 does not compromise functionality or ruggedness. If you are looking to maximize your value these terminals should be on your shortlist. 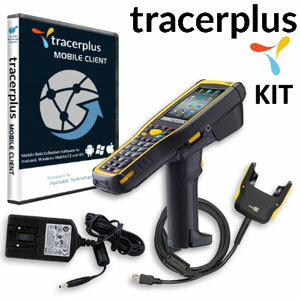 Pairing PTS' TracerPlus data collection software along with the rugged CipherLab 9700 barcode terminal, use this kit for a variety of mobile applications including Order Picking, Work-In-Process and Warehouse Inventory.